Dr. Charalampos Rizopoulos is a research associate at the Department of Communication and Media Studies (National and Kapodistrian University of Athens). He holds an MSc in Intaractive Multimedia Production (University of Huddersfield, UK). He holds a PhD on the cognitive and emotional aspects of immersive 3D interactive environments. 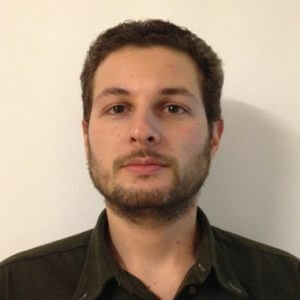 His research interests include interaction design for immersive virtual reality and mobile platforms, spatial cognition and environmental psychology, and computer games design. Charalampos is a research associate at the Department of Communication and Internet Studies (Cyprus University of Technology). He has participated in several national and EU-funded research and cultural projects and is a member of the Association for Computing Machinery/ACM.